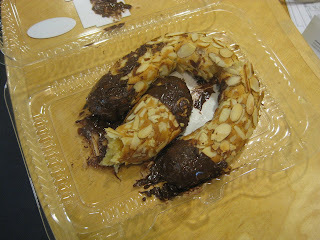 Nothing can get me blogging again like a good almond horn - crispy on the outside, moist and tender on the inside. These are delightful wonders that have an almond flavoring, real almonds, and are shaped like a horn! 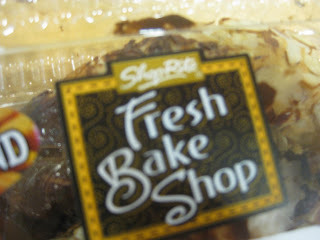 The Fresh Bake Shop at the East Brunswick ShopRite makes some of the finest almond horns you will ever have! Nothing else about East Brunswick is worth mentioning, however. Ok, have a nice weekend!